The European Commission has found that companies in Europe were suffering in their efforts for digital transformation due to a lack of specialised ICT staff. The Digital Society and Economy Index suggests 40% of European companies struggle to find IT specialists, this talent gap is preventing many organisations from increasing their revenues through properly implemented digital strategies. While Germany has one of the larger IT workforces in Europe, accounting for 3.7% professionals, this still is not enough to accommodate the growing demand for qualified technology talent. According to the report, there will be over 500,000 unfilled vacancies for ICT specialists by 2020. While some initiatives are taking place in schools and universities to ensure students can meet the needs of the market, these long-term tactics will not solve the immediate talent gap. The importance of an skilled digital workforce is vital to organisations in order to stay competitive within a digitally transformed world. As a members of the EU Digital Skills and Jobs Coalition, K2 University is helping to close the professional digital skills gap in Europe through a variety of Salesforce and SAP training initiatives. 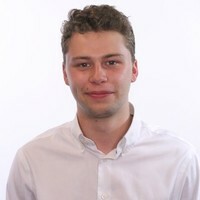 Dominic Whaley, Digital Content Specialist based at K2 Partnering Solutions HQ in London. Looking for a way to get your staff officially certified? See here for details. If you’re a client looking for help staffing a project contact us.